Guthrie Public Schools learned last week they will receive less dollars in state aid after the midyear adjustment numbers were released by the State Department of Education (SDE). A reduction the school district knew was coming. “We were planning on this. This is not a surprise to us. We budgeted for it,” Dr. Mike Simpson said Monday evening in his monthly superintendent’s report to the Board of Education. Midyear adjustments are based on a variety of factors, including schools’ increases or decreases in student enrollment during the first nine weeks of the school year and changes in local tax revenues. The initial adjusted allocation in August showed the school district receiving nearly $9.8M. After the midyear numbers the district will gather $9.5M. An exact difference of $249,199 less, or 2.54 percent. The complete list from SDE can be found here. Other districts in the county also saw cuts in state aid. Coyle will receive $55,395 less (6.42 percent), Crescent will see a decrease of $86,600 (4.90 percent) and Mulhall-Orlando saw a drop of $6,091 (2.26 percent). The state’s two largest school districts, Oklahoma City and Tulsa, are set to lose $2.1M in state aid. 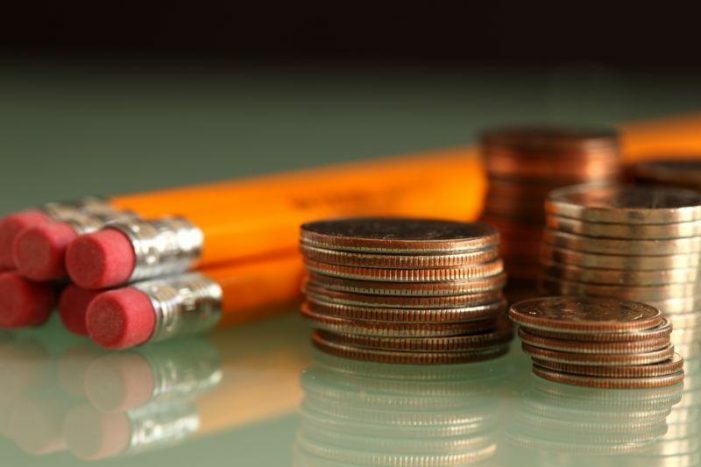 In making midyear adjustments, state education officials distributed the final remaining 1.44 percent, or $26.4 million, in state aid for the fiscal year ending June 30, across 512 school districts and 28 charter schools. The state’s largest virtual charter, Epic Charter Schools, expanded with two new centers in Tulsa and Oklahoma City. That school system saw its state aid spike from $18.67 million to about $60.86 million total. One Response to "GPS to receive $250k less in state aid"
Seems Mike Simpson is doing a great job.